I know you meat-eaters must be feeling uncertain. Not to fear! Going on the quest for vegetarian food is the perfect opportunity to widen your horizons, and you’ll be glad you did. Thanks to your responses on Facebook, here is a compilation of the best vegetarian dishes in the city. Another great option for vegetarian food is the delicious Hummus Pita at Acoustic Café. 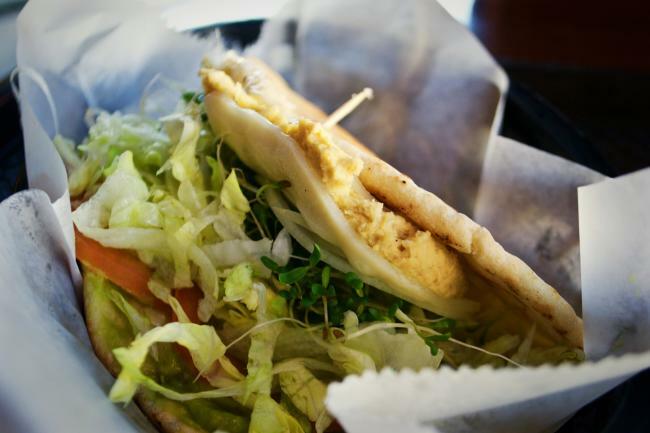 The soft pita is topped with hummus, provolone, mayo, guacamole, lettuce, tomatoes, onions and sprouts. As a lover of hummus, this is a great light lunch option that will leave you at the perfect level of fullness. 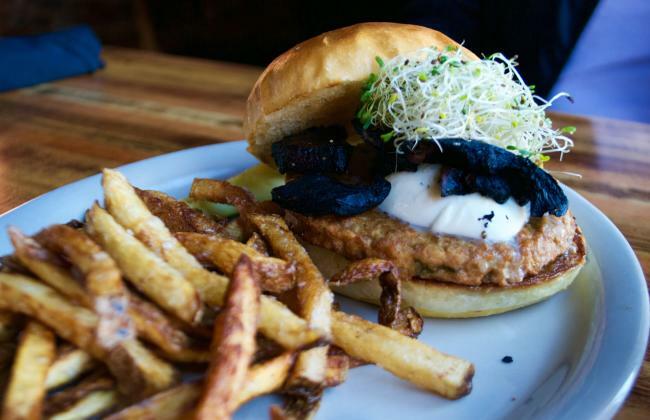 This delicious veggie burger from The Livery is served on a soft buttery bun, topped with grilled portabella mushrooms, roasted garlic aioli that oozes over the edge, very fresh mozzarella, and a light helping of sprouts. Paired with a side of their extra delicious fries, you may be converted to a vegetarian (well, maybe). This sandwich packs on the vegetarian love! The ciabatta roll is decadently topped with grilled portabella mushroom, grilled onions and red peppers, lettuce, feta, and garlic mayo. The aioli sauce is so delicious, you could drink it. Paired with some delicious chips, The Nucleus was the perfect lunch stop in a quaint location. 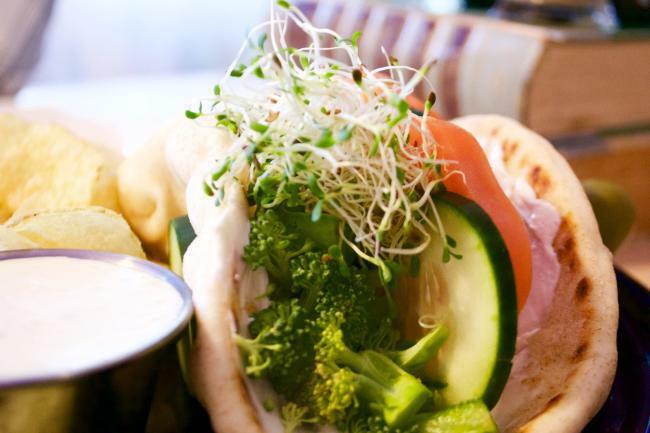 Another great contender for most delicious pita is the Good Earth sandwich, which is a combination of broccoli, cucumbers, tomatoes, green peppers, sprouts, cream cheese, and paired with cucumber sauce on the side. Grand Avenue Café is small enough to feel homey while you enjoy a tasty and cheap meal. 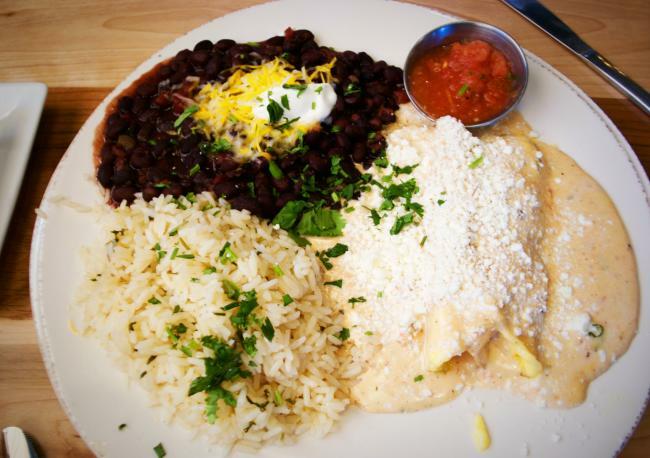 If you’re a fan of Mexican food, give Roble Tacos a try because the cheese enchiladas are d-e-l-i-c-i-o-u-s. The menu is very large, so there are plenty of options for anyone who isn’t vegetarian as well. They also offer $3 bottomless chips served with three different types of salsa, so if you have time to spare I recommend hanging out and downing some chips. 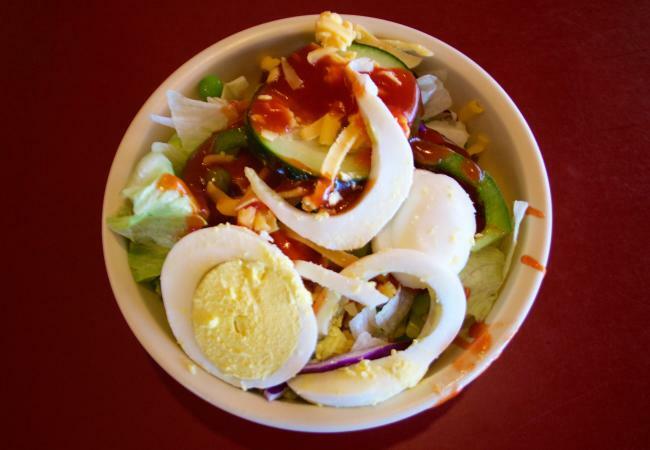 If you are in the mood for a super cheap meal, then head over to Pizza del Re for their lunchtime salad bar. I have nothing but love for salad bars, so being able to make multiple trips for salad, pudding, and fruit for only $3 felt like a sweet bargain. 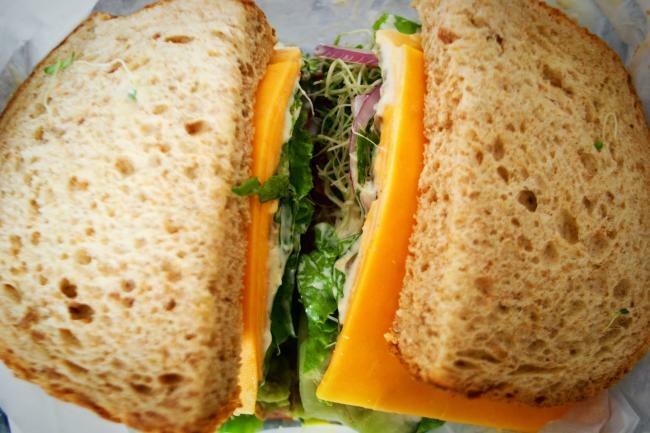 This is perfect for college kids to get a delicious lunch without hurting their wallets. Another great vegetarian option is sushi, which is served up nicely at Ninja. 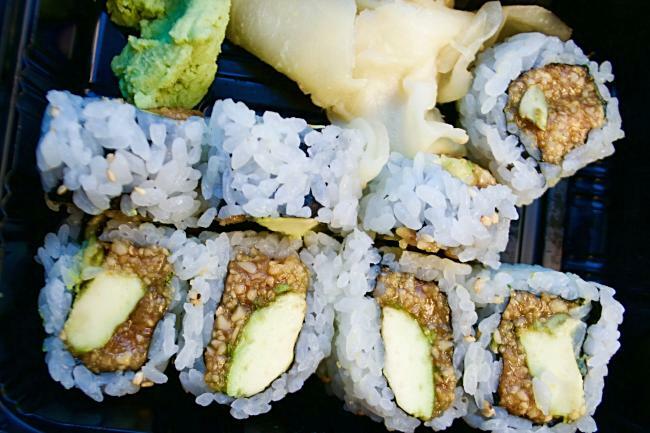 The Buddha Roll is filled with avocado and roasted peanuts which is a very flavorful combination. The cheap price ($5) and ability to carry out make this a perfect and easy meal for all. Nelson’s is a great local place, one that you may have passed 100 times without realizing it. Once you walk inside, you’ll be impressed by their large menu and fresh sandwiches. The cold Veggie Sandwich has cheese, lettuce, tomato, onion, cucumbers, sprouts, green peppers, guacamole, sunflower seeds and mayo. The delicious flavor and freshness of the veggies will certainly turn this into one of your new local favorites. Insider tip: This is a take-out only place, so grab a sandwich for lunch on the go! 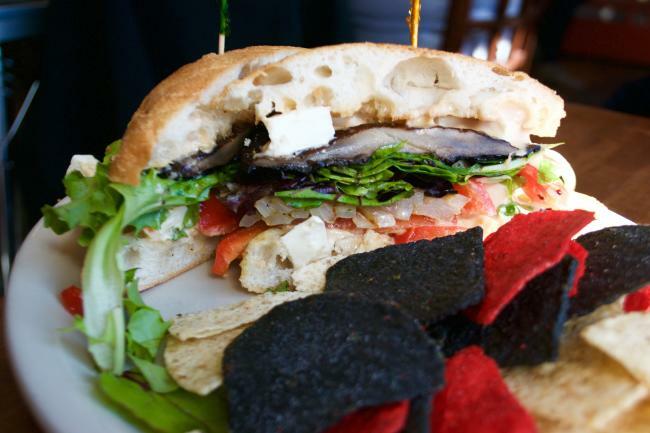 Whether you’re a vegetarian or just looking for some new dining options in Eau Claire, all these delicious options are worth a try. And who knows? Maybe you’ll even consider leaving meat behind.